Psychologist Edward de Bono is quoted as saying: "Logic will never change emotion or perception." Recent findings of researchers at the Ghent University in Belgium bear out the validity of de Bono's statement. In the study, 129 consumers were asked to evaluate four pieces of cheese that actually came from the same block of Belgian young Gouda. The only information the study participants were given was provided via labels marked "Cheese", "Cheese with Reduced Salt", "Light Cheese", and "Light Cheese with Reduced Salt." It is not so much what he sees, but what he perceives that determines his choice. Reporting on the results of the study, the Wall Street Journal notes: "Participants liked the flavor of the two cheeses with "light" labels less than the taste of the others. They also tasted less salt in the cheeses labeled "reduced salt," though they liked them almost as much as they liked the supposedly saltier versions." The lesson? Reality has less impact on consumer choice than perception. Consumers in the study perceived differences in taste based on nothing more than a suggestion on a product label. This means that, at its foundation, food package design must be consumer centric to be successful. Food package design that takes into account consumer perception is inherently more effective than packaging that does not. 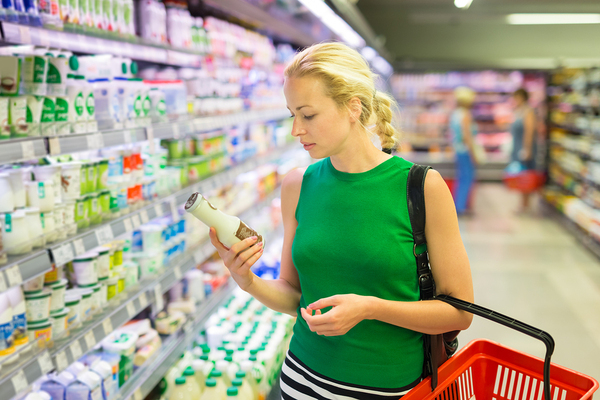 Interestingly, consumer perception is not merely molded by text in product labeling. Food package designers also must take into account the way all aspects of their package design impact consumer perception. 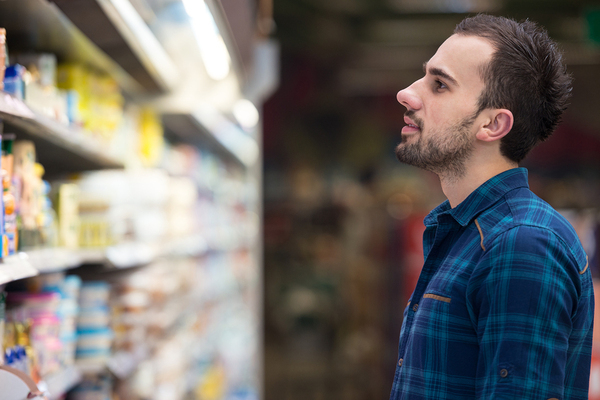 Just as consumers may convince themselves that a cheese labelled "Light" is somehow less tasty than "regular" cheese, so too consumers may associate a certain color, texture, or packaging style with a less desirable food choice. Packaging Digest mentions a study from the Michigan State University School of Packaging that well illustrates this point. The intent of the study was to determine if there was any effect on the perceived quality, visual perception, and purchase intent for the same produce if it was viewed through four different colored mesh bags. Astoundingly, researchers found that there was a significant difference in the perceived quality of the produce dependent entirely upon the color of the mesh bag. In other words, study subjects perceived that the produce seemed more desirable when it was packaged in mesh of the same color as the produce in question. When the mesh bag was in a complementary color instead, consumers believed the produce to be of lower quality. The takeaway? In the mind of consumers, perception trumps reality, hands down. Consumer centric packaging design translates your brand story in an understandable way for consumers. The question, then, is how to tap into consumer perceptions to inform your packaging strategies. PKG's Consumer First™ approach to package design focuses on collaborating with consumers to understand how perceptions are formed and how those perceptions inform purchasing decisions. Our deep-dive approach to understanding the mindset of consumers enables us to design packages that tell your brand story in such a way that it will be heard no matter where consumers encounter it. We listen to consumers, and we learn from them. Learn more about our approach to consumer-centric package design by viewing this short video found on our website. And while you're there, we encourage you to take a moment to meet our team.